I'm Illy (track) by T.I. 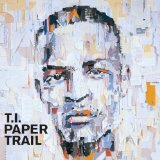 Paper Trail (this album) (2008). Sorry, no matches on eBay for "I'm Illy TI".